It is difficult to get too excited about a Spring Training day in early March, but the New York Yankees turned in a good performance Sunday and there was plenty to be happy about in addition to the 3-2 victory over the Washington Nationals. First and foremost, Sunday was another day of good health. CC Sabathia tossed 29 pitches in a simulated game and appears ready to take the next step. All indications point toward him breaking camp with the rest of the rotation. Some comments and video from Chad Jennings of The LoHud Yankees Blog here. Alex Rodriguez made the start at third base and in his five innings had just one ball hit his way. He handled it cleanly and made an accurate throw to first. Both Rodriguez and manger Joe Girardi stressed after the game that the 39-year-old veteran will not be at the hot corner on a regular basis. Rodriguez’s comments seemed to concede that he’ll be primarily a designated hitter going forward. Carlos Beltran was the DH Sunday and continues to affirm that he is not feeling any ill effects from the balky elbow which derailed his 2014 season. He will play Monday’s game in right field, the first back-to-back game for the soon to be 38-year-old this spring. Aside from health there are the continued positive efforts of Adam Warren. While Warren was greeted with a home run by the first batter of Sunday’s game, he allowed just three more hits and no runs the rest of the way in a three-inning performance. Warren is working on breaking camp as a starter and at this time he might be gaining some steam on Chris Capuano who is believed to be the favorite for the fifth and final spot. Once Warren left Sunday’s game, Andrew Miller took the hill and threw a no-hit and scoreless inning. He was followed by Dellin Betances who also turned in a no-run performance allowing a hit and striking out two batters. While Girardi still has not named a closer, it is easy to speculate that he is leaning toward Betances to close games given the order in which the players were used. On the other hand, Miller faced two lefties and their usage could have been derived due to matchups. It has been discussed here that the Yankees cannot go wrong in this situation, no matter which way Girardi draws it up. Miller and Betances are elite relievers who do not seem to have the least bit concern of what inning they are asked to do their jobs. Staying on the mound, Luis Severino made his second spring appearance and struck out three batters while sitting in the 96-97 mph range with his fastball. Severino tossed an inning and a third, allowing one unearned run on two hits and a walk. Severino is either ranked as the best or second-best prospect in the organization depending on the outlet scouting him and it’s easy to see why thus far. He could be in the majors by September as a call-up and has a chance to push himself into the rotation in 2016. As the younger players continue to thrive and raise eyebrows, only Jose Pirela seems to have a shot of making the team at this point. Pirela continues to impress with the bat and if Brendan Ryan is unable to get ready for the regular season due his back strain, the 25-year-old prospect could land the utility role to start the season. He might even get some regular reps at second base if there is a left-hander on the mound. Pirela is hitting a robust .455 (5-for-11) this spring with a double and three RBI. Rounding out the good news is the upcoming Yankees rotation this week which headlines Michael Pineda (Monday) and Masahiro Tanaka (Thursday) getting their first game starts of the spring. Pineda and Tanaka are keys to the rotation and the success of the Yankees in 2015 and beyond. Monday features what could be a preview of a Yankees regular season lineup courtesy of the club. 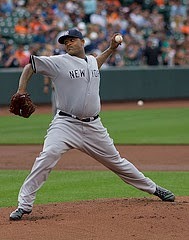 Photo of CC Sabathia courtesy of Keith Allison via Flickr. Christopher Carelli is a freelance baseball writer and sports media strategist. Besides his work here, Christopher is a correspondent for FantasyPros, where he writes a weekly Closer Report column. 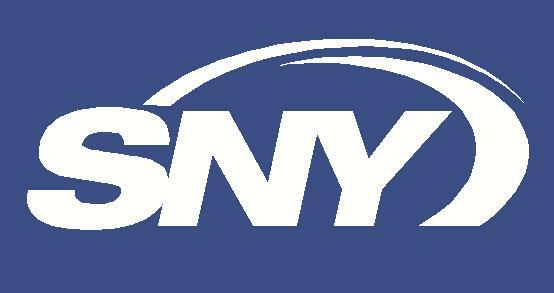 His baseball commentary has also been published on Yahoo Sports, the FanSided network, Sportsideo and linked multiple times on MLB Trade Rumors’ Baseball Blogs Weigh In. He is a member of the Internet Baseball Writers Association of America, the Baseball Bloggers Alliance and the BYB Hub.